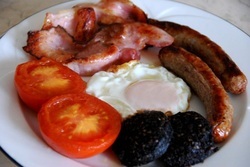 Listed below are some Irish recipes you might like to try. Just click on the underlined link to go to that page. All the recipes here have been made and tested by us before adding them so we can assure you they all work to produce the best version of each dish. If you would like to submit a recipe, please CONTACT US. 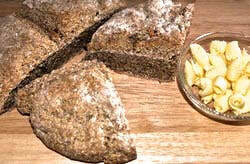 This is a traditional "scone" which is what we in Donegal call it (as opposed to soda bread as many people know it). The recipe here is more traditional than many you will find on the internet and in recipe books as it uses only the ingredients that would have been used as opposed to the various additions we see nowadays. My recipe sticks to those traditional ingredients but I understand that some of those ingredients might be hard for people to source, for instance buttermilk but I have a fail-safe alternative for you. For the recipe and information on the bread click HERE. 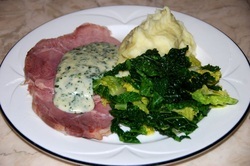 BACON AND CABBAGE ~ With "Shamrock Sauce"
A "taste of home" for so many across the world, even those who have never been to Ireland but are of Irish descent would still think of this dish as their first real Irish dinner choice, especially on and around St. Patrick's Day. Read more about the history of the dish and learn to make the perfect "taste of home", Bacon and Cabbage ~ with the Donegal named, "Shamrock" Sauce! This is an old Irish recipe and whilst it is not a tradional cake in that the base is not sponge but rather Irish soda bread, the topping gives it a sweet taste. It is best enjoyed with a big mug of tea. 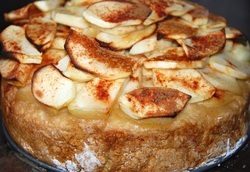 Learn how to make Irish Apple Cake. 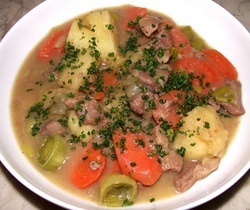 Read about the history of Irish Stew and what would probably have been the original ingredients and then make your own from our Irish Stew Recipe ~ you can even learn how to make a perfect lamb stock to make your Irish Stew even more delicious. 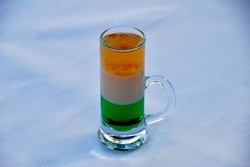 These are just a bit of fun, maybe for St. Patrick's Day or to make for an Irish themed party. 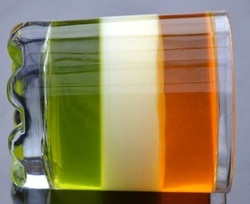 Working out how to make white jelly was the biggest problem, but we have it sorted and you can click HERE to find out how to make your own Irish Flag Jellies. 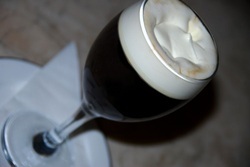 Learn how to make the perfect Irish Coffee ~ it's more simple than you might think.